All booking details taken care of ina timely manner. No surprises! Rachelle was very helpful with planning my Fiji trip. She suggested better flight times because I had my 8 year old daughter which is really lovely and thoughtful. Rachelle has great communication which is very helpful when planning a family holiday. Thank you so much ???? Everything went smoothly from booking to travelling to Fiji to arriving at our resort to enjoying a week of relaxation and fun to travelling home again. Thank you! Great booking experience, fantastic value with all bonuses and extras including flights. We cant wait to see your next deal on offer! Thanks again for an outstanding service! Working with Kelly & Travel Online - was easy & seamless, everything had been booked appropriately & all ran smoothly, Kelly kept both myself & my travel buddy up to date at all stages, even with 2 people making separate payments etc The deal we got with Travel Online was at least $1k cheaper than other guest we had spoken to who also had an all inclusive package - which i definitely recommend! Service was professional & any request was addressed promptly. We are so impressed with your organizational skill especially as we only gave you only a matter of hours to pull our trip together. We had a great time and loved our hotel to bits. Provided a very competitive price, no hassles and good communication. We would definitely consider booking with you again and would not hesitate in recommending you to family and friends. Travel online made our trip so easy. Was able to pay it off and they made all bookings and changes as needed. They were only a phone call away for questions and emailed all documents so I didn’t have to leave my lounge chair. Thanks Clare. The online booking of the holiday was extremely easy to use along with the regular updates from travelonline team. I will definitely be booking another holiday through travelonline and I have already told my friends and work collegues. Highly recommend travel online, excellent communication via phone calls and emails and assistance in finding the best package deals to suit our family. Accommodating when we needed to change and amending our booking and going out of their way to help in any way they could. The team at TravelOnLine were great from the beginning to end. Clare was most helpful with our needs and always replied to my emails in a timely manner. Did not have any issues with our booking and everything went well. I would recommend them to anyone and will definitely organise any future travel with TravelOnLine. 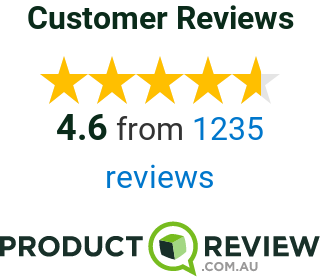 I cannot rate the quality of service and patience we received from Alisha and Claire. From time of enquiry,to the booking all went smoothly.All transfers and hotel was all as detailed. Was first time using this service and would highly recommend.The prices were excellant. Looking forward to my next trip in June. I would definitely book with Travelonline again and I always recommend your site first. Have never had a problem and always the best prices. Very happy with our last booking. Thank you for the hassle free holiday, zero hiccups along the way and excellent value for money. We have definitely recommended you to our friends and look forward to rebooking our visit to the Naviti Resort with you in 2020.